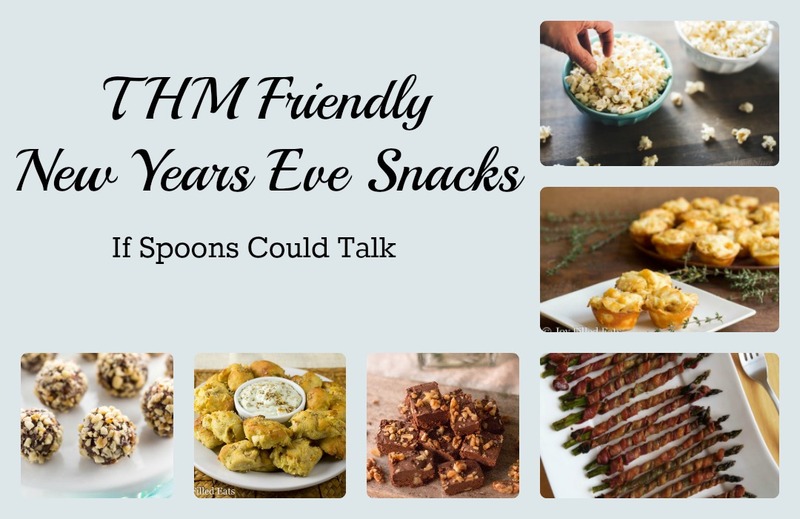 It’s that time of year when everyone decides this will be the year that they get healthier. Well for me I was already healthy and did great last year but the holidays happened and unhealthy choices were made. 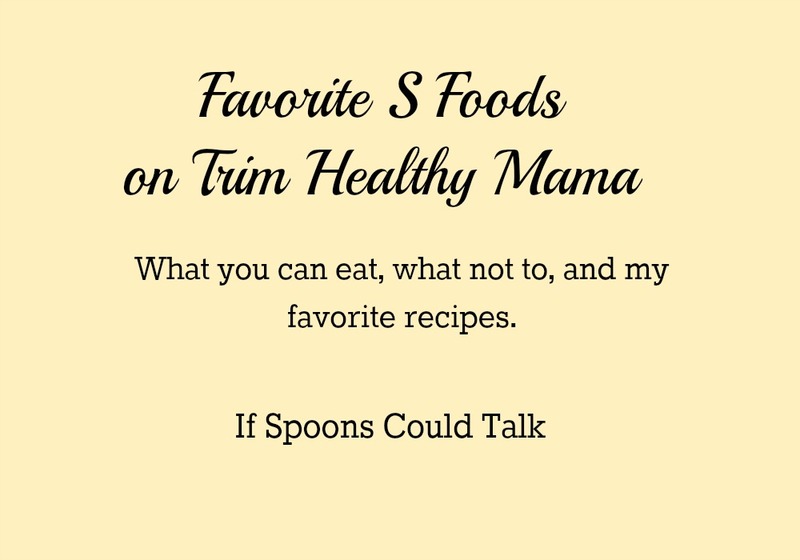 I know that many Trim Healthy Mamas are in the same boat as well and are trying to get back on the wagon, or they received wonderful THM gifts for Christmas and are curious as to where to start. 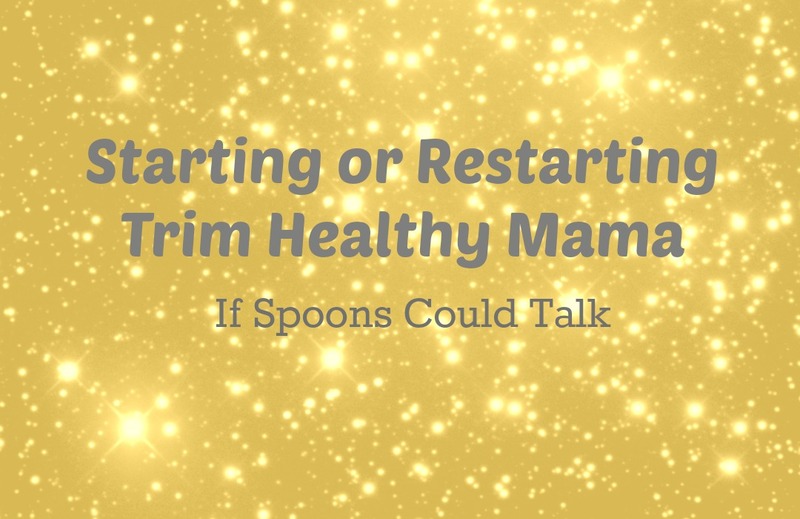 So I am going to discuss how to get (re)started on Trim Healthy Mama Plan. I have discussed the basics of the plan in my beginners post here, and they are important to understanding the plan. But when you first are starting or trying to start over you may not need all that information. If you are coming from a heavy sugar diet or from the holidays you need to reset your body and get rid of all that junk. Deep S meals are your friends for detoxing your body. A Deep S is classified by the pure fats that are in them. No dairy, no carbs, no nuts, only simple fats. This is easy for your body to digest and helps to get rid of excess glucose. Protein plus these pure fats are your goal. Bonus if you get in some deep greens. Examples- eggs fried in coconut oil, skinny chocolate, veggies sauteed in coconut oil, or a salad with chicken with oil and vinegar. Drink Shrinkers and Good Girl Moonshines. The shrinker helps me feel so much better and keeps me aware of my goal to not eat the sugar. Same with the Good Girl Moonshine it helps to have something that isn’t water to drink on all day and help combat the foods you ate. Remember you will mess up at first and that is ok. Just learn from it and start over in three hours. Crossovers ARE on plan. They are just not conducive to weight loss, but if you are coming from the typical American diet it is much healthier and an accidental one here and there will not stall you. Start slow. Start adding in THM slowly into your routine if that is what will help you stick with it. Add just with one meal a day for a week then add in more and more until your whole day is on plan, or close to it. You can jump all in first thing. This is the way I did it. Plan a whole week of meals, go shopping (only buy these items), and cook as you need for the week. Cooking all my lunches and many breakfasts at the beginning of the week helped me stick to it. Drink the all day sippers. They will help keep you fuller and hydrated. Don’t forget the water. Drink a lot of water, especially if you don’t like the sippers. If this is not normal for you, you may experience more restroom visits then normal. Focus on the (S)atisfying and (E)nergizing fuels at first. FP are important but if you are just starting they may not fill you up enough or you may accidently end up doing crossovers or off plan, worry about those later. Be sure to read all my beginner tips that helped me lose 20 pounds. Don’t let yourself feel bad for going off plan. It is ok if you indulged and enjoyed the holidays don’t feel bad that is why we have food freedom. Eat every three hours. Each time you eat make sure it will fill you up for three hours. When you take your last bite start counting your three hours. If you are switching fuels make sure you are not even half an hour early this will cause fuel stacking and you will store excess food. If you are not switching fuels or have a Fuel Pull before the three hours it will not be the end of the world, but try to avoid them. If you mess up don’t give up on the whole day. Starting over is always three hours away at your next meal. Don’t let the whole day go because you ate one Hershey Kiss, that is setting yourself up for failure. Pin this image so you can find these tips later. Deeply appreciate this article! Thank you for taking the time to do it. I SO SO needed this encouragement. I don’t really have weight to lose, but have gotten off plan with my eating habits and BOY, does my body feel it! I’m tired and achy, and just plain yucky…and I KNOW it’s the terrible diet that I’ve fallen back to with the holidays. (I’ve fallen off plan in the past. I can tell when I put bad foods into my body. It rebels! On the flip-side, I feel so much better and have so much more energy when I eat healthy foods). Thank you so much for the encouragement and the tips. It certainly helped to reinforce my “Get Back to It” attitude! Thank you Lisa for your feedback. I totally get that yuck feeling. It also serves as a good reminder that its not all about weight loss but really about how you feel and what good food does for our bodies. I am reading the book now. I haven’t yet started, but was recently on low carb. I read about double fermented kefir. Is that Keifer yogurt drink what they are referring to? I’m going to start with breakfasts. Since that’s my hardest part of the day.